A PAK-FA prototype image released by Sukhoi/KnAAPO (Sukhoi). The first flight of Russia's stealthy PAK-FA is the best recent example of the problems examined in the United States Defense Science Board report on “Capability Surprise”, released in September last year. This study is an important step forward in identifying the causes of many past, current and developing strategic failures. A capability surprise arises whenever an opponent makes use of a new capability, or uses an existing capability in a different way, catching the target or victim off guard1. Al Qaeda's use in September, 2001, of passenger laden hijacked aircraft as cruise missiles was a good example of a capability surprise. The PAK-FA is, but at many more levels, another case of capability surprise for Western military leaders. ▪ “Known” surprises—those few that the United States should have known were coming, but for which it did not adequately prepare. For this category of surprise, the potential and evidence are clear; the effects are potentially catastrophic; and dealing with them is difficult, costly, and sometimes counter-cultural. We specifically include space, cyber, and nuclear in this category today. We might also have included bio, but with a focus on threats to military operations, we chose not to. ▪ “Surprising” surprises—those many that the nation might have known about or at least anticipated, but which were buried among hundreds or thousands of other possibilities. In this case, the evidence and consequences are less clear, the possibilities are many, and the nation cannot afford to pursue them all. In both cases, the biggest issue is not a failure to envision events that may be surprising. It is a failure to decide which ones to act upon, and to what degree. That failure results, at least partially, from the fact that there is no systematic mechanism in place within DOD or the interagency to help decide which events to act on aggressively, which to treat to a lesser degree, and which to ignore, at least for the time being. Thus, the principle recommendations of this study focus on developing the approaches and the talent to better manage surprise—to prevent it from happening or, should surprise occur, to be in a position to rapidly mitigate its consequences. 1. Integration and management of surprise at a high enough level to affect senior decision making. 2. Red teaming as the norm instead of the exception. 3. Rapid fielding that is truly rapid and can be effectively employed when the circumstances warrant. 4. Pointed improvements in “strategic” intelligence. 5. For known surprises, the Secretary of Defense establish a formal mechanism to ensure Department progress in addressing the limited number of most critical threats. For surprise management to be successful, however, there needs to be support from leadership at the highest levels—a recurring theme of this study. Emphasis should be placed on encouraging alternative viewpoints, requiring broad risk/opportunity assessment, integrating and synthesizing, and enhancing knowledge through cross-domain teaming. Without such leadership, the tendency will be to maintain the status quo … and the nation will be seriously surprised. The reasoning by the DSB is sound. The open question is whether in the current political climate produced by SecDef Gates and his inner circle, the five proposed measures have any chance of being robustly implemented, let alone implemented at all. Let us consider but one level where the PAK-FA effects ‘capability surprise’ - the issue of the diminishing United States Tactical Air combat capability effectiveness currently in progress, a decline that changes the United States’ ranking from air dominance to ‘also ran’. The collapse of United States TACAIR qualifies as a “known surprise” in every respect. Surprisingly, it is not included in the three “current” types of surprise the DSB covered in detail; being nuclear, cyber, and space surprise. Numerous analysts including APA, academics, US Air Force generals serving and retired, and the Air Force Association, have repeatedly commented on the increasing mismatch between existing and planned United States tactical fighter fleet capabilities, and the ever advancing capabilities of foreign fighter aircraft, sensors and air defence weapons, being developed and marketed globally by Russian, Chinese and Indian industry. APA has published numerous works on this topic, and compiled a collection of more than eighty quite detailed technical reports covering the area, by multiple authors, necessitating the translation of hundreds of foreign language publications. At the rate of decline of United States air combat power, and the rise of foreign air combat capability, there are but a few years before ‘mismatch’ becomes ‘overmatch’ - at the expense of the United States and its Allies. The TACAIR problem is well understood by the expert community and well documented in the public domain, yet multiple consecutive policy decisions, and public statements, clearly indicate that the OSD and its analogues in other Western nations neither acknowledge nor accept its existence, or where its existence is partially acknowledged, its relevance is not. The absence of any meaningful response to the development and first flight of the PAK-FA from the Washington OSD is proof positive, more likely proof absolute, that the mechanisms of organisational breakdown and failures in governance discussed by the DSB are currently and actively in play within the OSD. The PAK-FA is a “known capability surprise” in the sense that everybody knew the Russians were developing it. It is a “surprising capability surprise” in the sense that Russian mastery of stealth shaping is much better than Western analysts, including APA, expected. The advances in PAK-FA kinematic and aerodynamic capability qualify as “known capability surprise”, the clever way that stealth was not compromised by the aerodynamic design and vice-versa is a “surprising capability surprise”2. Was willing to take the risk that it would not happen. Simple organisational laziness and hubris – failure to focus on potential and emerging threats on the basis that “we are too big to fail”. These failures are more than often inter-related, and more than often mutually supporting. We should also give some thought about what is NOT stated in the DSB report. A powerful analytical tool is to divide a complex problem into ‘Process’ and ‘Content’, which the DSB does in part. As mentioned above, if the Processes are not in place, there is no chance of delivering cogent, timely and hence effective ‘Content’. Some strategic changes are made at an imperceptible but inexorable rate, so that by the time the problem is detected, it is too late to recover the situation. A domestic example is termites eating the structure of your house. A military example is the decline of United States' TACAIR Capability, the rise of potential adversaries’ TACAIR Capabilities such that in a military conflagration, the United States is soundly defeated and in losing the battle, is at risk of losing the war. Even if the adversaries’ overmatch is detected, there may be insufficient time to recover – building air combat capability is the work of decades, not months. If the tactically defeated, the United States is forced into a retreat to a nuclear exchange, that will draw the entire world into holocaust. Lastly, there is no mention in the DSB Paper of any prevention or intervention response once a Capability Surprise is discovered by a robust ‘Process and Content’ structure, and an assessment of unacceptable Levels of Risk. Again, we may use the PAK-FA as an example. The existence and potential air combat capability can be no longer classified as a ‘surprise’ as it has happened. The critical question is what national response the United States and its allies will mount to the PAK-FA. The only air combat aircraft in the world that can match an operational PAK-FA is the F-22. Yet on the recommendation of SecDef Gates, the F-22A program was terminated at 187 aircraft – an insufficient number when Russia and India are planning to produce 500 plus PAK-FAs, and Sukhoi will be aggressively marketing export versions of the PAK-FA. Would Congress, finely balanced over the termination of the F-22A, have approved the program termination had they known about the surprisingly advanced PAK-FA at the time? Highly unlikely. Another element of the PAK-FA ‘surprise’ is that the aircraft has been designed with a clear understanding of the effects of ‘stealth’ on air combat when both sides present with low-observable aircraft. Obviously, the combatants will be closer when their radar sensors detect the other side, so close in fact that the Infra-Red Scan and Track (IRST) might be the first sensor to detect the presence of an enemy aircraft. The problem is this: the PAK-FA has IRST capability and the F-22A does not. Worse, the extreme agility of the PAK-FA will allow it to dodge the F-22A’s AIM-120 missile shots, while the Raptor will likely not be able to out-turn the more advanced Russian (and Chinese) missiles. Surviving F-22As would then be committed to what fighter pilots call a ‘knife fight’ – close-in dogfights where superior agility wins – and the PAK-FA will out-manoeuvre the F-22A. The answer to this air combat puzzle is simple: build more F-22s and build a better F-22, and give it better missiles. The basic design of the F-22 is sound and there is internal space for additional sensors such as IRST, cheek AESA arrays and possibly lower frequency radar that will detect the PAK-FA first. The thrust of the F119 series engines could be increased and a more advanced 3D thrust-vectoring nozzle fitted. Controls with more power and driven by smarter software can be added. The MBDA Meteor missile has a specification and design to kill a 9G target at 50,000 feet – about the edge of where the PAK-FA can operate. If the Europeans can make such a missile, why not the United States? So, the question is this: if the answer is simple and obvious, will the United States respond to the PAK-FA surprise with a reversal of the decision to end F-22A production and fund the ongoing production of the F-22A while the upgraded F-22C is being designed? Will it release the F-22A to its allies like Australia, Japan and Israel, and ask its NATO partners if any would induct the F-22A into their air combat aircraft fleets? Will it offer F-22A upgrade programs as the full capability of the PAK-FA is revealed? And, finally, will it commit to the development of a missile capable of killing aircraft with extreme agility, such as the PAK-FA and, similarly, the Su-35S? The PAK-FA surprise places the United States right at the fork in the road of military capability development. One path is the ‘we are too big to fail’ / ‘there is no alternative’ hubris that leads to certain defeat in future air combat. The other is an immediate commitment to use existing United States technology, weapons development skills and military financing to produce a PAK-FA killer before the PAK-FA becomes operational. The Defense Science Board’s Capability Surprise Report and the recently published Supporting Papers are a giant step forward. However, these fine works are but a first and necessary step in a long journey that we must all traverse if the World is to enjoy peace and prosperity. 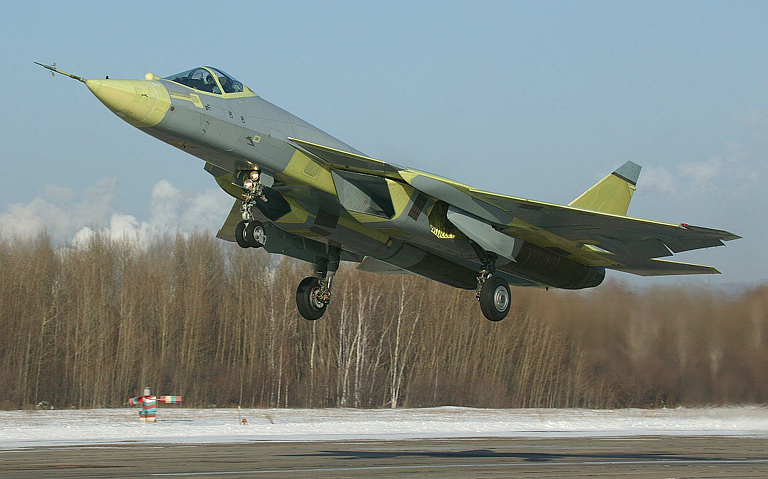 The PAK-FA surprise is a litmus-test for the United States. We can all watch and wait to see the United States' reaction, starting with SecDef Gates' recommendation to his Commander-in-Chief President Barack Obama, and then to Congress. Or we can exert our democratic right to demand our political leaders to engage in the debate and insist SecDef Gates does what is right and what is best. If he fails this simple test by failing to heed the message and act responsibly, then the United States and its allies can expect many more ‘Capability Surprises’. None of them will be pleasant. 2 Dr Carlo Kopp, SMAIAA, MIEEE, PEng, and Peter Goon, BE (Mech), FTE (USNTPS), Assessing the Sukhoi T-50 PAK-FA; Sukhoi/KnAAPO T-50/I-21/Article 701 PAK-FA; Перспективный Авиационный Комплекс Фронтовой Авиации, Air Power Australia Analysis 2010-01, February 2010. 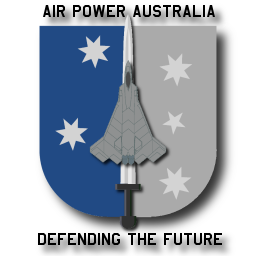 3 Refer Dr Carlo Kopp, MIEEE, SMAIAA, PEng, When America’s Stealth Monopoly Ends, What's Next?, APA NOTAM #37, 04/03/2009, and WGCDR Chris Mills, RAAF (Retd), Air Combat: Russia’s PAK-FA versus the F-22 and F-35, APA NOTAM #39, 30/03/2009. 4 WGCDR Chris Mills, RAAF (Retd), F-22A Raptors for the Marine Corps, APA NOTAM #28, 09/02/2009. 5 WGCDR Chris Mills, RAAF (Retd), and Peter Goon, BE (Mech), FTE (USNTPS), Navalising the F-22 Raptor - Restoring America's Maritime Air Dominance, APA NOTAM #32 23/02/2009.